Gnarly : First off, can you tell us what you do at FunGoPlay? Electron: Sure, I’m the director of production for FunGoPlay, so I oversee all content production from when we first start talking about a crazy idea till when that crazy idea ends up on the internets at fungoplay.com. Gnarly: Rad! What has been your favorite craziest idea so far? Electron: Wow, no way I can choose just one, so I’ll choose two. First up, our multi-player games , Striker Shootout and Half Pipe Havoc, are incredibly awesome and were made by super talented folks who worked really hard on them, so I’m really proud of that we were crazy enough to try to make them. And secondly, I’d say games like Dogzilla’s Revenge and our upcoming football game, Gridiron Gladiators, because they’re really funny, you get to blow stuff up, and in at least one of them you get to play as a giant, enraged hot dog (not saying which one). Also, I like games. Also tehcnically that was four. Gnarly: Haha! All of those are great. 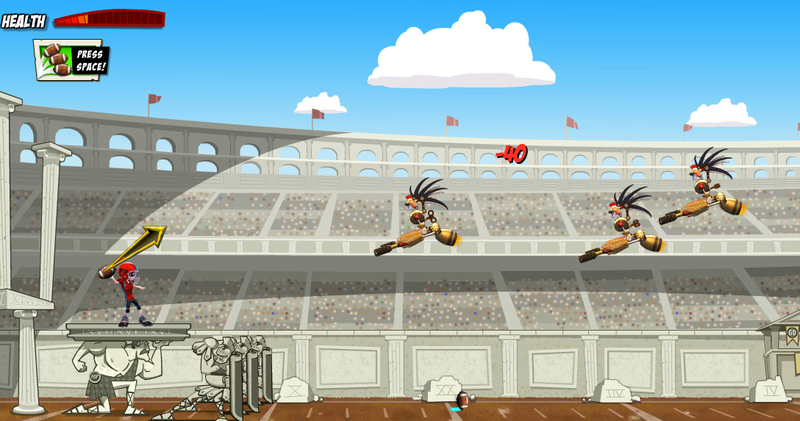 Can you tell us more about Gridiron Gladiators? Electron: I can, and, surprisingly, I will. The game is located at Skagurski Stadium, our brand new monument to football. In it, you have to defend the field against an onslaught of robot gladiators developed by the brilliant but insane marketing genius/all around not-nice-guy, Julius Maximus, in order to take the game of football “to the next level”. Whenever you try to take something “to the next level” with killer robots, it’s a recipe for disaster, and in this game, it’s your job to make sure they don’t wreck the stadium and ruin football forever. Gnarly: Electron, that sounds awesome!! We can’t wait. Any idea when we’ll see Gridiron Gladiators in the world? Electron: It’ll definitely be available to play in the world before the Super Bowl kicks off, so stay tuned! Gnarly: Thanks! Last question – if you were a food what food would you be and why? Electron: I would be like 10 or 15 pizzas, because then I’d never have to worry about starving, I could just eat myself in an emergency. Electron Buttski 2 – Survivalist and game maker extraordinaire. How excited are YOU for the new game? 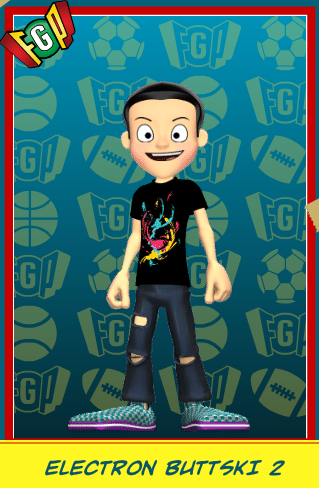 Posted by fungoplay on November 22, 2011 in General and tagged dev, dev update, interview.